A standard that will never leave public and community radio is outreach programming. --- Community affairs, current happenings, political discussion, inspections into the interesting, or whatever you'd like to dub it -- shows that delve into the public at large to showcase what's happening around you, both to educate and influence, will always be an informative staple. The BeeHive, on KRCL, has been doing just that -- taking five minute segments throughout the week to highlight items from the community, giving those involved a chance to talk about their projects to a listening audience in a short format that average listeners can cling to in the middle of their music. Gavin: Hey, Alana. First thing, tell us a little bit about yourself. Alana: Hello. I’m Alana Burman, a 25-year-old Libra -- I only put stock in FreeWill Astrology -- living downtown and loving it. I cook, knit, try and make it to as many pilates and spinning classes as I can, retain trivia like a sponge, and probably watch too much TV on the internet. I’m an adviser for the local chapter of the B’nai B’rith Youth Organization ,and I’m a producer and social-media specialist at 90.9 FM KRCL. Gavin: What first got you interested in things like community affairs and local outreach? Alana: I think my interest in community building comes out of my upbringing. My family is part of the Jewish community here in Salt Lake, which is close and small and flexible. Growing up, I saw my parents and their friends -- who were like family to me -- go out of their way to serve something bigger than themselves. Their work made an impact, created opportunity, and expanded the cultural landscape here. So, those values were ingrained in me early on. Gavin: You received your bachelors' degree for arts from Washington University in St. Louis. What made you choose that particular school, and what was your time like there? Alana: Wash. U. was one of those schools that just kept sending me mail because of my test scores, and because its name is quite ridiculous I just kept throwing it out. One day, my mom mentioned offhand she heard it was a great university, so I actually read the literature and I was intrigued. When I visited, I knew it was where I wanted to be. I was looking for a challenging but not competitive academic environment, in a medium-size city, which also had a pretty vibrant and unique arts culture. I found that there. About a week and a half into my Intro to Women and Gender Studies class, I knew that’s what I wanted to study, and I was set. So, my time there was an adventure – I hung with a lot of great and weird art students, acted as a peer adviser for underclass people, edited a lit magazine, did a research fellowship and got to learn about a Midwestern city that was oddly familiar. St. Louis is a lot like Salt Lake City, so many special and interesting opportunities – you just have to dig a little. Gavin: What eventually brought you out to Utah, and what was it like for you moving here? Alana: My family moved to Utah from New York in 1994 for my Dad’s job. In a roundabout way, we ended up in Park City, but because of the Jewish community, we spent a good amount of time in Salt Lake and so I have deep ties in both towns. Utah was ... very different than it is now. I had a Fran Drescher Long Island accent, and I’ve always been a proud, bleeding-heart liberal, so it took some time to find my footing. But after a few years ,I found the relaxed attitude and easy kindness of Utah to feel like home. Gavin: How did you first come across KRCL, and what was it about the station that appealed to you? Alana: I listened to KRCL pretty sporadically as a kid, but it was when I decided I was moving back to Utah after college that I started digging for a community-radio station. I’d been involved in KWUR, my campus station, and was a member of KDHX, the community station in St. Louis. 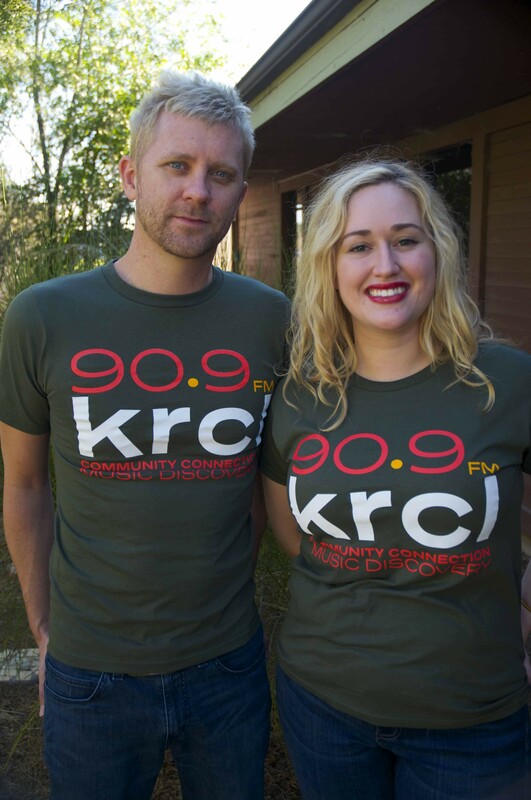 As a senior, the only thing I knew I really wanted to do after graduation was to be involved in radio – so KRCL, as a music-focused station with some news and community affairs programming, was a natural fit. Gavin: What made you decide to be a volunteer, and what was it like joining the station? 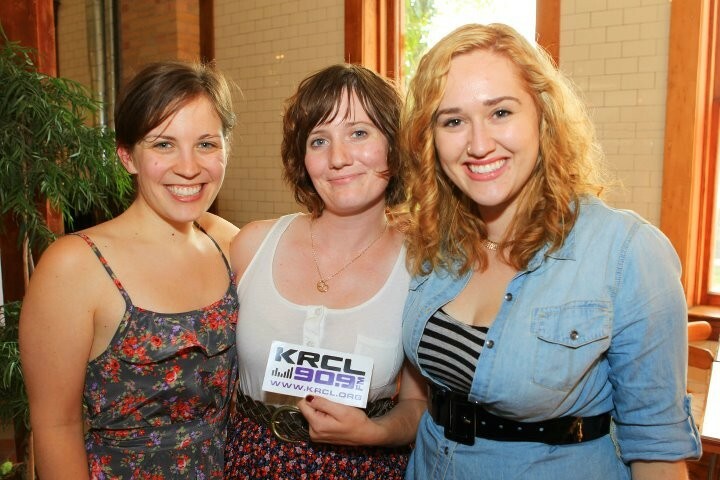 Alana: When I got back to Salt Lake, KRCL was looking for a development intern, and that’s where I started. 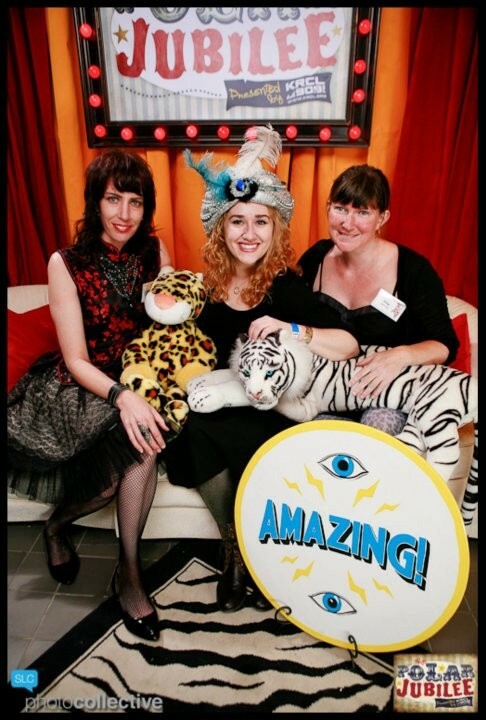 I had the experience and the skills to help write grants, manage sponsorships, and execute events, so they took me on. Gavin: What was your first year like being a part of the station and eventually working your way up to being the social-media coordinator? Alana: My first year at the station was fraught with change. A few months after I came on as a development intern, the development director left. This was right around the same time that former morning host Dave Perschon left the station and former GM Donna Land Maldonado retired. So much was up in the air, and even though I was new, I was needed to fill a pretty big gap, and I got a lot of responsibility very fast – but it was exhilarating. I loved -- and still love -- the station, and it was an honor to do my part to help stabilize everything in flux. Honestly, that’s still very much a part of the job; both noncommercial radio as a field and this community in particular are such that the people and the needs are always changing and it’s our job to evolve to meet them. I’ve managed grants, sponsorships, volunteer coordinating, and event planning – in addition to the social-media and production work I do now. So, that’s what I’ve been doing for the last four years: trying to grow so that I can develop professionally and best serve the station. As our social-media communities have become an extension of our on-air community, it's become necessary for us to devote some staff time to managing those parts of KRCL’s profile, and those responsibilities grew pretty organically out of the work I was doing before as community outreach coordinator. Gavin: How did the idea for The BeeHive come about ,and what was it like for you pushing that show into fruition? Alana: Early on in my development days, I had an assignment to call around to different stations like ours throughout the country to see how they were handling a certain donor group. That’s when I found Radio Milwaukee, which quickly became one of my favorite radio stations. I loved their mix of music, and I loved that they had these short community features peppered throughout the playlist – to me, it seemed to make perfect sense for a community-radio station. I started lobbying for our programming team to move in that direction, but I didn’t get any traction until our new general manager, Vicki Mann, came on board. In a fantastic twist of fate, she actually moved here from Radio Milwaukee! So, having someone who understood the value and big-picture role of those spots pushed them into reality. Gavin: What made you decide to keep it to small segments that run throughout the week rather than taking a shift on the air, like RadioActive? Alana: Well, with the exception of the half-hour program on Sundays, RadioActive isn’t a regular block period, either. We thought about what made the most sense for our listeners: They were tuning into KRCL to hear music first, supported by community information. A couple of hours block of public affairs programming in the middle of the music was just too jarring. So, we made all the pieces – The BeeHive, and the RadioActive short feature series produced by Troy Williams -- part of the playlist. It’s a more organic flow. 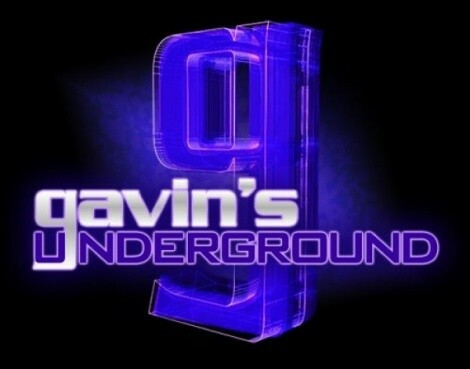 Gavin: What were your first few episodes like, and how was it getting the format down and workable for air? Alana: Some of the first episodes were pretty awkward, and some I’m still pretty proud of. 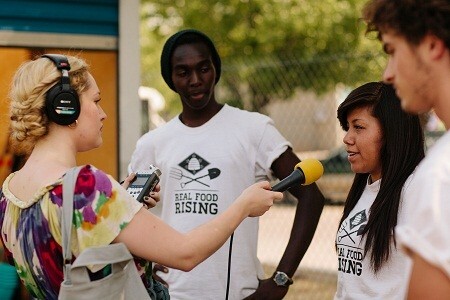 One of the early ones I think still meets muster is the piece I did on Real Food Rising, the youth farming program sponsored by Utahns Against Hunger. It was one of the first I did on-site, and somehow I managed -- I think -- to create a strong and compelling narrative with audio from two advisers and three teen participants in only three minutes! It was good practice in writing a good voiceover narrative and really mining the interviews for the best nuggets of sound. That’s still my favorite part of the job, pulling out the strongest moments and fitting them together the right way. On the best days, it’s like putting together a puzzle. Gavin: How do you go about choosing the subjects for each episode, and how much time is spent on each one, between concept to final cut? Alana: Sometimes, subjects are suggested to me, and often, I find them on my own. I scour bulletin boards, KRCL’s Community Calendar, and local publications for inspiration. The topics generally fall under the larger headings of community, culture, arts, events, and scenemakers – but, really, it’s a "know it when I see it" kind of thing. Each piece usually takes about an hour to schedule and record, then another two to three hours to edit together, depending on the length and quality of the audio. Maybe a little longer if I’m having a hard time finding the right words for voiceover or the right background music. Gavin: When did you start seeing the show really take off and receiving a big response from the public, and what did you think of that response coming in at the time? Alana: I don’t know if I’ve received a big response from the public, even now. But that’s okay! I think it started getting exciting around December, when the people I was reaching out to interview knew what the series was! There was also a moment when I stopped by the Natural History Museum to pick up a silent-auction gift for The Polar Jubilee and the girl at the desk called out my name after she heard me say I was from KRCL. She recognized me by my voice. I felt like a star. Gavin: Both you and the show have sustained through a lot of changes at the station over the past four years. How has it been for you to continue doing what you're doing while all this other stuff has been happening with KRCL? Alana: The BeeHive isn’t even a year old yet, and the format’s been the same since the first one aired. As for changes at the station: KRCL -- really, every media institution in this city -- has been changing since the day it opened. Our community is always in flux, so why should our radio station stay the same? Honestly, it’s been frustrating at times when people get really emotionally excited by small changes and start expressing their anger very loudly before asking any questions about our reasoning or giving us the benefit of the doubt. It’s fantastic having an audience that is so passionate about the station, and I’d hope that the listening audience knows that the staff and volunteers are also passionate about the station. We push ourselves every day to be the best stewards we can of this community treasure, and to do our part so that it will thrive long after we, as individuals, move on. We’re going to try new things. Some will work, and some won’t – more often than not, different listeners are going to disagree about what works and what doesn’t. But, we’re going to keep growing. KRCL is charged to serve the community, and we’re not providing that service if we’re not constantly evaluating and adjusting. Gavin: Has the thought ever come about to play around or change up the format, or are you comfortable with the way it is now and how the segments flow? Alana: Of course, we’re considering new ways to grow. The timing and style of the pieces will stay very much the same, but we’re throwing around ideas about how to approach topics in interesting and innovative ways. Tune in and you’ll hear it first. Gavin: What have some of your favorite interviews been, and who would you like to get on the show that you haven't been able to snag yet? Alana: I loved Real Food Rising – it’s great to speak with young advocates who are taking real action to make change and fix problems. I did a piece on the production of Of Mice and Men at Pioneer Theatre that was really affecting, and seeing the performance afterward made me especially thankful for the opportunity that The Beehive has given me to hear the stories behind the best things in our community. 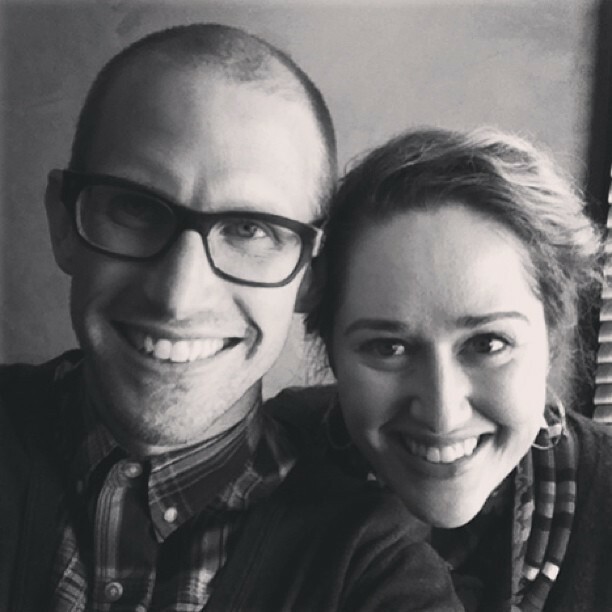 I’ve also developed a really interesting interview relationship with Aaron Moulton, the curator at UMOCA. I enjoy speaking with him about how concepts and theories are translated into the shows there. As for upcoming: I spent some time at the Farmers Market this weekend -- so glad it’s open for the summer! -- and was really touched by the inmates in the Jail Horticulture Program who sell their produce there; I look forward to telling that story. I’m also working on putting something together with Ballet West – I think Adam Sklute, their artistic director, is a really interesting figure in our community – and that’s not just because I spent some time on a Breaking Pointe viewing-binge. Gavin: What is your goal for the future of The BeeHive? Alana: We all have Beehive-worthy stories of our own, and I want to tell as many of them as possible. 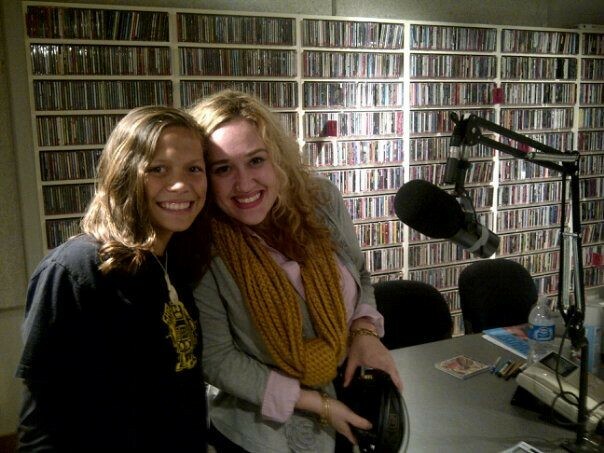 I want The BeeHive to inspire KRCL listeners to find the things that impassion them to contribute to the community. These are all stories of people who are doing work, or giving volunteer time, to build something great for us all to enjoy. 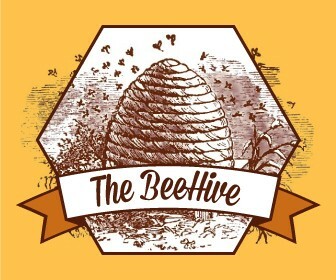 Ideally, when you hear an episode of The Beehive, you find new opportunities to participate, to create something to inspire others, and – to employ a sort of silly pun – to make our community buzz. Gavin: What can we expect from both you and the show over the rest of the year? Alana: More great stories of scene makers, arts and events in our community. As the program develops, I hope to find more stories you can’t hear anywhere else. Alana: Aside from KRCL, I’m also proudly involved with the Salt Lake City Film Festival as a member of the board. The SLCFF is celebrating its fifth anniversary this year and will have some pretty incredible programming and events leading up to and during the fest on Sept. 26-29. Support your local film festival, one which truly supports independent filmmakers – check out SLCFF.com for more info. KRCL’s Community Drive is this week, June 10-14. The Community Drive is our summer fundraiser that highlights KRCL’s role as a platform for organizations that are doing good work in our community. Contributions support the station and provide a service for the clients of a nonprofit making change. Call 1-800-359-9191 or go online to KRCL.org to donate. We’re also hosting a Summer Fling Parking Lot Party to close out the drive on a high note on Friday, June 14 from 6-8 p.m., at the station. Music, food, and beer – what more could you want? You can also access past episodes of The BeeHive from the last few weeks, but we recently moved our streaming service, so the archives are being rebuilt. Head to KRCL.org and click Connect.